When it comes to the holidays, many people on your list may not be vegan or even have an interest in an eco-friendly lifestyle. While giving an appropriate gift is always a priority for me, I like to see if I can spend my gift money somewhere that will both satisfy my conscience and please the recipient. 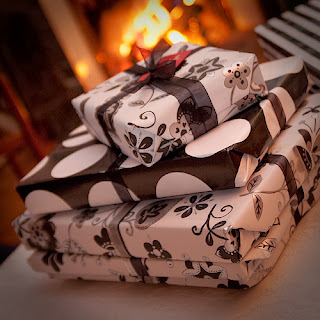 Read on for some of my top choices for gift giving this holiday season. You don't have to spend a lot to give a thoughtful present. If you are crafty and/or resourceful, this can be a great option. DIY gifts are especially great when giving in person. For more DIY ideas, click here or check out my DIY resources article here. For a fuss-free present, try a gift box. Assemble a gift box from beauty, hair care, and/or skin care items at your local health food store. Pacifica makes vegan eye shadow sets that make a pretty gift. Give a body kit for men from Every Man Jack. Send sweets from companies such as Michy's and Om Nom Nom cookies. Give vegan handbags from Claret, Namaste, and Lavishy. If you know your recipient's size, consider eco-friendly clothes in from brands such as Patagonia or Prana. Charities such as WWF and Defenders of Wildlife offer symbolic adoptions. Defenders offers a plush with as little as a $25 contribution; WWF starts around $50. For more on charities, check out my post, How to Make Your Charitable Contributions Count. As always, be sure to consider recycled and/or reusable gift wrap options as well. Disclosure notice: Some products and/or brands mentioned in this article were submitted free of charge by the manufacturer for review. No additional compensation was accepted and the opinions are my own. Please verify any claims with the manufacturer, especially if you have any allergies or concerns.